Sustainability is now an everyday phenomenon. The topic has become more and more relevant for the fashion trade, as "green" fashion becomes "real" fashion. And it is to this that the future belongs. In our newsletter, you can read all about 'Sustainability & Textiles' and learn more about scientific innovations, the latest research findings and what's new on the trade-fair and exhibition front. Kastner & Öhler have a new eco-fashion department. 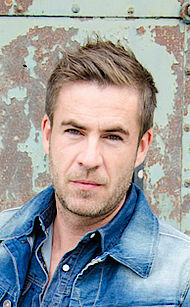 An interview with Christian Adelsberger. "Sustainability is now 'cool' and achievable in the fashion industry." Christian Adelsberger, from the Austrian fashion store, Kastner & Öhler, speaks, in an interview with Jana Kern, about the market for sustainable fashion and their decision to launch their own eco-fashion department. 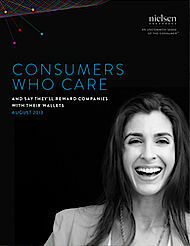 Social commitment is increasingly valued by consumers. Such is the conclusion reached by the Nielsen study Consumers Who Care. From a global perspective, consumers in India are more willing to support companies who demonstrate social commitment by buying their products than their European counterparts. Science can be so beautiful! With her project "Faber Futures: Rhizosphere Pigment Lab", Natsai Chieza is looking at problems in the textile industry with regard to the dyeing of materials. She is using biotechnology to develop dyes using bacteria on plant roots, which are then used to colour and print on textiles – with fabulously beautiful results. 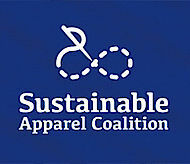 An elementary particle of sustainable textile production has just been reworked –, the Sustainable Apparel Coalition (SAC) presented Version 2.0 of the Higg Index in San Francisco in December 2013. 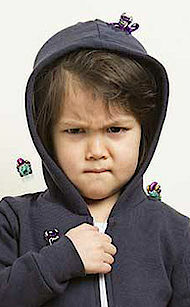 Expensive clothes are not made any cleaner than cheap ones. This is the finding of the tests carried out by the environmental organisation Greenpeace. As part of their 'Detox' campaign, 82 items of children's clothing from twelve international fashion companies were tested. 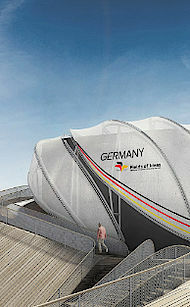 Berlin has the potential to become the international centre for pioneering, sustainable fashion. 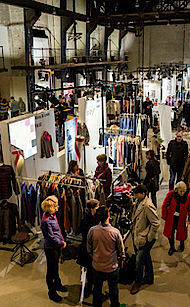 This is demonstrated by the rise in visitor and exhibitor numbers at the two trade shows, the Greenshowroom and the Ethical Fashion Show Berlin, which took place from 14 to 16 January 2014 in Berlin. 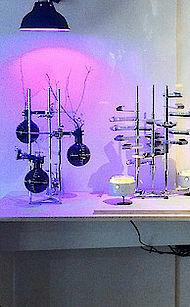 Particular highlights were the Salonshow and the Dutch Eco Design Show in the Kronprinzenpalais. 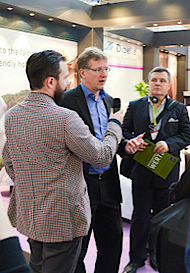 The first 'Green Tour' at the international trade fair for home and contract textiles provides insight into the way in which exhibitors are implementing the notion of sustainability in all product segments. Various concepts, ranging from qualities and properties of materials to social acceptability are introduced during the course of the tour. Some 250 exhibition presenters at Expo 2015 in Milan will be dressed by students from the international University of Art for Fashion, ESMOD Berlin. The trainee designers are designing the pavilion uniforms using sustainable criteria. The winner will appear in the Greenshowroom in the summer in Berlin. How sport and social responsibility fit together. An interview with Annelie Thyrén from Stadium. In the sports sector, sustainable issues and innovations as regards products and materials are becoming an increasingly important area. Annelie Thyrén is Chief Buyer at Stadium, the leading Nordic sporting goods chain. In January she attended the Ethical Fashion Show Berlin for the first time. She agreed to answer Texpertise's questions, and recounts the progress she perceives in terms sustainability with regard to sports equipment and the ways in which Stadium is involved. Perfect match: Sustainability meets aesthetics. How can we create a more sustainable world? 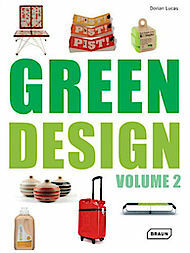 This is the question that Dorian Lucas examines in his book Green Design, in which he presents some 100 innovative products from different areas including energy, fashion, the home, lighting, public spaces and the workplace.